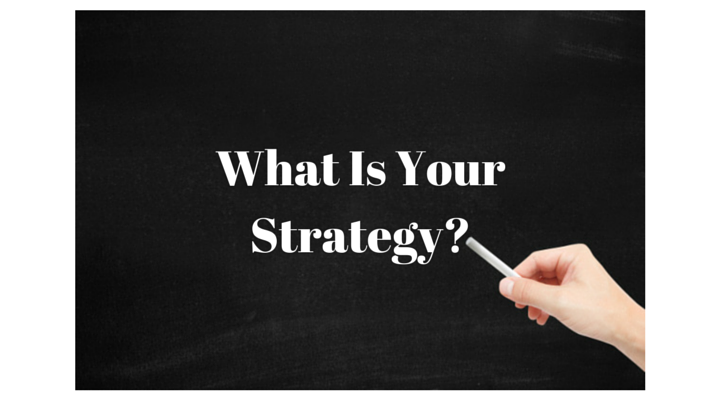 You are here: Home / What Is Your Online Marketing Strategy? What plan do you have in place to meet your goals and objectives and realize your mission – vision? Or, are you simply shooting from the hip and hoping for the best? Does your plan have adaptive capabilities or is it a “set it and stay the course” type of plan? And have you considered what role online marketing will play in your overall strategy? While it might be tempting to just start executing online marketing tactics, you need to make sure you have an overall strategy for reaching your goals and objectives to realize your mission – vision. By having an organized strategy, one that can adjust as conditions change and as data provides feedback, you are more likely to achieve success. First, do you have a general strategy, you can call it a plan, that helps achieve your goals and objectives and realize your organization’s vision and mission? Within this general strategy, what goals and objectives have been defined and how have you been measuring the outcomes? Without knowing the above items, creating a online marketing strategy will be very difficult. An online marketing strategy, in most cases, is not a stand alone strategy and must integrate into your larger organizational strategy. Second, what resources do you have internally or that can be drawn upon from the outside for creating, executing, measuring, and refining your online marketing strategy? Resources can include skilled human capital, leadership, technology, budgeting, etc… Supporting resources need to be in place if you are going to have a successful execution of your strategy. Third, how do you see online marketing helping your organization realize its mission – vision and what goals and objectives do you see it helping you achieve? Don’t expect it to fix flawed structural problems or be the silver bullet for alleviating all your problems. For example, if you have poor relations with your customers, it will merely help amplify those complaints on your owned and earned properties. Four, consider to what degree online marketing plays in your strategy. If you operate in a highly regulated environment, you will have fewer options for leveraging it than if you operate in a less encumbered environment. These are just a few things you need to consider if you are going to successfully incorporate online marketing as part of your strategy. So what can online marketing do? There are many areas in which online marketing can be used within a strategy. Consider the following examples. First, reducing customer service costs. For example, creating digital assets such as infographics and/or short videos that address common customer service questions. These assets can be used as reference material by your customer service personnel for quickly supplying answers to customers rather than having to repeat the same answer again and again. Second, harnessing your audience to disseminate your content on your behalf. Getting your content and messaging out can be done in part by encouraging your audience to spread the message on your behalf. Leveraging your audience in this manner can be a powerful tool as your audience will be more trusted than your brand. Third, recruitment of personnel, ideas, and content curation. For personnel, it can be used to identify and recruit more qualified personnel. For curation ideas and product improvements, you can utilize user generated content and crowd sourcing as a resource. In summary, online marketing can play an important role in your strategy, helping you to achieve your objectives and goals. However, you’ll need to make sure you fit it into your organization properly and have realistic expectations.